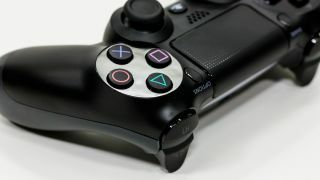 There's still no breakout game that makes PS4 a must-have next-generation console, but sales of the new system have topped seven million, Sony has announced. PS4 officially reached this milestone on April 6, meaning it got there in four months and 22 days after the console first launched to consumers. Early adopters are picking up games along with the console, too. Sony pointed to more than 20.5 million games sold as of April 13. That includes both retail and PlayStation Store software sales. They'll be pleased to know that more games are on the way. Sony expects the PS4 games list to reach 120 by the end of the year. Prepare for an Xbox One rebound? It certainly helps that the PS4 price is more attractive than the Xbox One and that it's available in 72 countries. The Xbox One is due in 26 countries by this September. New countries driving up the PS4 sales chart include Sony's home territory of Japan. Xbox One doesn't launch in Japan until September. Microsoft hasn't spoken up about its Xbox One sales to date in a while, but that doesn't mean the company is out of the next-generation race. In fact, it may be waiting to calculate all of the Xbox One bundle sales that include Titanfall, the mech-filled third-person shooter from ex-Call of Duty developers. Microsoft's mega-sized system packs in the game and the Kinect for about the same price of a PS4 console, a game and the PS4 camera. Whether or not this hooks enough new Xbox One owners to match Sony's competitive seven million figure remains to be seen.